Question: Since I can’t see a nymph because it is underwater, what are the best ways to fish with it? Answer: Biologists say that about 80 to 90 per cent of a fish’s life is spent foraging beneath the surface of the water, so to be successful that’s where your fly should be for much of your fishing time. Fly anglers generally group the stages of a bug’s underwater life into flies called nymphs or emergers. The most frequently used nymph pattern, no matter where you live, include the gold-ribbed hare’s ear, the pheasant tail, the prince nymph, and the zug bug, among others. Fish that feed regularly on bugs take all stages of aquatic insect life both on top of the water (called dry flies) and below the surface (wet flies). Except in periods of a heavy hatch, when fish begin feeding on adult flies that have reached the surface and can fly away, most fly anglers continue fishing with nymphs in the lower reaches of the water column where the larva, pupa, and nymphal stages of the bugs abound most of the time. Because nymphs are larger in size than the other subsurface life stages, and because they are the easiest to capture during their ascent toward the surface, fish typically feed most heavily on them. A surface disturbance has fooled more than one dry fly angler into thinking that the fish is taking an adult bug off the top of the water. Instead, what they may be seeing is the evidence of a fish sipping an emerging nymph struggling to poke through the surface film. Basic nymph fishing techniques, with or without a weighted fly, work well for most species. Some common nymphing styles include the Leisenring Lift, the split-shot and strike-indicator method, the long-leader and weighted-nymph method, the hinged-leader technique, the upstream drift method, high sticking, and Czech nymphing, among others. Sternberg, Tieszen and Van Vliet’s 1996 book on nymph fishing, Fishing Nymphs, Wet Flies and Streamers: Subsurface Techniques for Trout in Streams, contains excellent descriptions of all of the various nymphing methods except Czech nymphing. Fly fishers use all of these techniques. A combination of the high-sticking method and the Leisenring Lift, both generally referred to simply as high sticking, are among the most effective nymphing techniques. Instead of using a strike indicator, however, many people just use a weighted fly and short leader with a small split shot about 12 inches above the fly. That combination, along with the raised rod tip used in high sticking, keep the fly nicking along the bottom. The “lift” at the end of the drift, which forms the basis of Leisenring’s technique, simulates the nymph rising to the water’s surface, an event that emerger flies seek to imitate. The combined lift and high-stick method keep the nymph quite close to the angler, often with just three or four feet of fly line out the tip of the rod. Rather than using a regular 20 or 30 foot overhead cast, the technique begins with the fly being flipped or lobbed just a short distance upstream to help it to sink. Then, the angler raises the rod tip as the fly moves down the stream to keep the leader up off the surface and dropping straight down from the rod tip into the water. 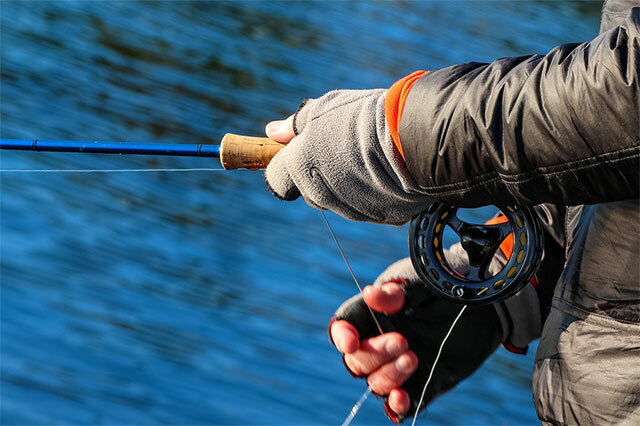 As the fly proceeds downstream, the rod tip is lowered until the end of the drift is reached or the angler believes the fly is in front of a fish, in which case, a quick hook set occurs. Nymph fishing is notorious for the fact that the angler often doesn’t feel the take of the fish. That encourages many people to rely on a strike indicator or to avoid nymph fishing in favor of streamer fishing. But with the modified high-stick/Leisenring method, the angler is attempting to drift the fly to a visible fish or is counting on the fact that the fly will drift through perfect holding water to a waiting fish. Both considerations help lessen the need for the indicator. The high-high-stick method often draws the fish toward the surface as it follows the up-ward movement of the fly, which induces a strike. A short leader, that the angler can easily see and watch as the fly moves along, also helps sharpen an awareness of the slightest movement indicating pressure on the leader. It allows for a greater sensitivity to the changes that indicate fish and for a quicker reaction time. A second advantage of the short leader is that it helps many anglers achieve a drag-free drift with a nymph. Since the indicator may be quite some distance from the fly, a weighted fly can easily be dragging before there is any noticeable action of the indicator. This is one of the less desirable characteristics of the split-shot and strike-indicator method. One definite disadvantage of short-leader nymphing is that the you can, at times, be quite visible to the fish. For that reason, the method is most useful in water with three or four feet of depth, a moderate flow, and even a little surface disturbance for camouflage. The combined Leisenring Lift and high-stick method of nymph fishing is easy to learn and easy to use. Certainly the split-shot and strike-indicator method of nymphing is also very effective. It has probably become the nymph method of choice for many guides. 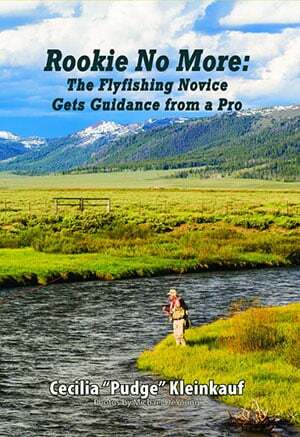 Once the angler learns to make the big initial mend after the upstream cast, which this method requires to achieve a dead drift, it’s mostly just a matter of watching the indicator for any sign of movement. Although some wait until the current pulls the indicator completely under the surface of the water to strike a fish, a twitch, a slight hesitation, or a small jump signal fish as well. A quick reaction to set the hook is usually all that is required for a hook up. Rigging the indicator is, for most, the only difficult part of the system. Positioning the correct weight of split shot about 10 to 12 inches above the fly, and the indicator at a point about twice the depth of the water, works well in almost all situations. The point (end) fly might be a bushy dry fly with a nymph suspended from the bend of the hook, or the set-up might consist of two nymphs of different weights to reach different depths of water to determine which fly the fish prefer. With Czech nymphing an entirely new style of nymph fishing appeared in the World Fly Fishing Championship held in Poland in 1984. Local competitor Vladi Trzebunia had perfected a method of fishing two or three heavy flies tied on droppers that were spaced along a short leader, which he simply flipped upstream and then led downstream with the current. Competitors from the Czech Republic adopted the method and the style of nymphing that the Poles were using, and the rest is history; by 1986, it had become known as Czech nymphing. Soon, Englishman Oliver Edwards, a member of the British competitive team, learned the method and the flies, bringing them to his own fishing and to the broader fly fishing world with his writing, his videos, and his fly-tying skills. Czech nymphing is, in a word, short-line fishing. “(R)esist the temptation to cast,” Oliver Edwards says. Instead, he recommends fishing very close to the feeding lies and the fish that occupy them. Untapered leaders of no more than nine feet in length hold one, two, or three large (# 6) Czech nymphs of various weights placed about 20 inches apart. The heaviest fly is usually on the middle dropper to help keep two or three nymphs near the bottom. Only a foot or so of fly line extends from the rod tip. The rest is all leader. Czech nymphing is executed by a short lob of the leader and its flies immediately upstream of the angler. The angler raises or lowers the rod tip as the flies drift in order to keep slack line off the water, so as to constantly stay in touch with the flies, and to be able to instantly feel fish or see movement in the leader. Unlike high sticking, Czech nymphing requires that the angler actually lead the flies along just a bit faster than the current. It’s a sort of sweep motion that presents the flies quickly and aggressively through the water. At the end of the drift, the angler pulls the rig up out of the water and immediately casts back upriver with an overhand motion, never stripping the line during either the cast or the drift. The line hand becomes almost redundant, Edwards advises. Those who practice this type of fishing contend that the combination of large, heavily weighted caddis nymphs guided quickly through good holding water and the angler’s constant movement to cover more territory are what increases the total catch numbers so dramatically.